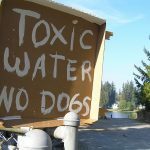 Blooms of toxin-producing cyanobacteria are on the rise in our lakes and exposure can present a serious health threat to lake users and their pets. To avoid exposure to these harmful algal blooms (HABs), people must be aware of them and of the risk at a particular lake. While numerous strategies have been used to educate and notify the public about HABs, currently there are no national guidelines or suggested outreach approaches. Recently, a team of state and county lake managers in western Washington worked together to implement a number of HAB outreach strategies and assess their effectiveness. Register for the 30th annual WALPA conference! Join us October 11-13 in Spokane! 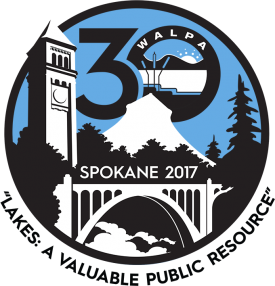 Don’t miss this chance to join your fellow lake lovers at the 30th annual WALPA conference, titled Lakes: A Valuable Public Resource. Learn about and share the latest in lake research and science and lake management at the three day conference, which will include workshops, presentations, social events, and more. Washington State likely has nearly 8,000 natural lakes. The majority of them were created during the last glacial period between 10,000 to 20,000 years ago, which is why the bulk occur in the northern half of our state…. Despite the importance of mollusks in the ecosystem and their susceptibility to habitat loss, they are invariably overlooked during macroinvertebrate surveys of lakes or other aquatic systems or in lake management. In addition, only piecemeal biological surveys of Washington lakes have been done for mollusks. The theme of this year’s WALPA conference is Lakes: A Valuable Public Resource, which I think sums up WALPA’s vision in a nutshell. I first arrived in Washington in 1999. 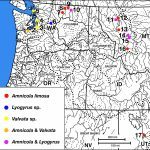 Having moved here from the East Coast for a faculty position at the University of Washington Tacoma, I had no professional connections when I arrived and little idea of the challenges and resources available for lakes in the region. I was invited to join the WALPA Board in 2001, and saying “yes” was one of the best decisions I ever made. 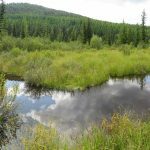 In January 2010, the non-profit organization Okanogan Highlands Alliance (OHA) responded to an extraordinary opportunity, purchasing 38 acres of wetland and 27 acres of adjacent forestland on the south end of Lost Lake (Okanogan County). While the Lost Lake Wetland and Wildlife Preserve sustains diverse plant and animal populations, both the wetland and adjacent forestland came to OHA with restoration needs. The forestland was aggressively harvested in 1992, so OHA has developed a management plan intended to maintain and enhance forest health, habitat and diversity while reducing weeds and fire danger.